It goes without staying it is best during peak tomato + corn season- which for us, is now. 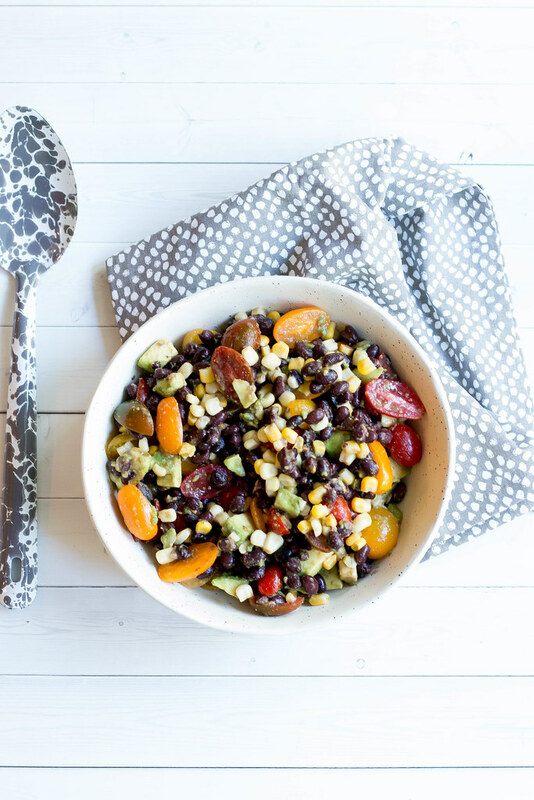 Any cherry tomato works and I LOVE sweet white corn or butter + sugar corn in this recipe. 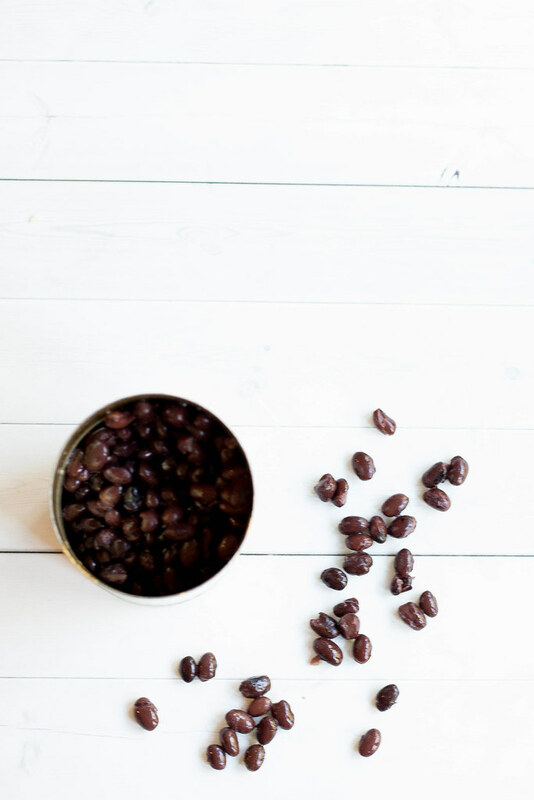 Avocado and black beans round out the dish and a bit of salt, cumin and lime is all you need for seasoning. Throw it in a bowl, give it a toss and you are good to go. When I make this for Camping I store it in a tight lidded mason jar filled to the top, it keeps well up to 4 days in the sealed mason jar. The lime keeps the avocado from turning brown as well. Place ingredients in or order in a medium bowl and toss / stir to combine well. If making ahead of time, place salad in a medium mason jar packed to the top and seal with a lid. Will keep up to 3-4 days in a sealed jar. 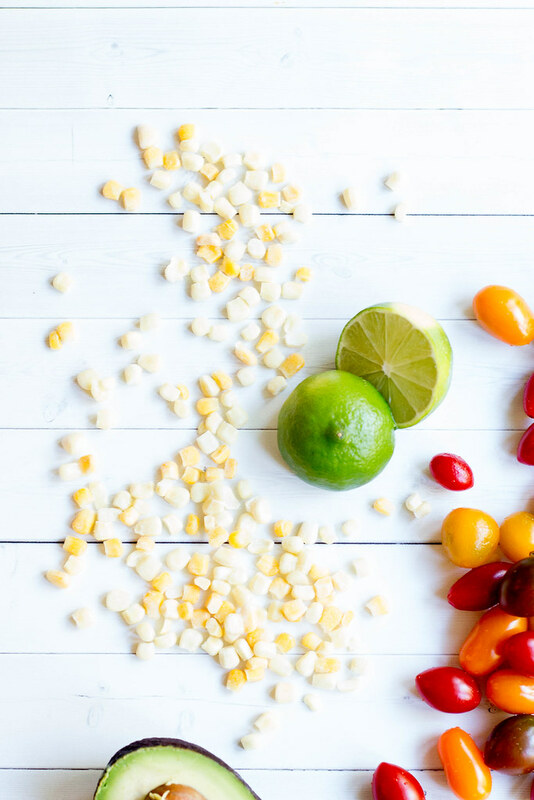 What a fresh and healthy summer recipe to try! Definitely going to make this for one of my lunches this week! 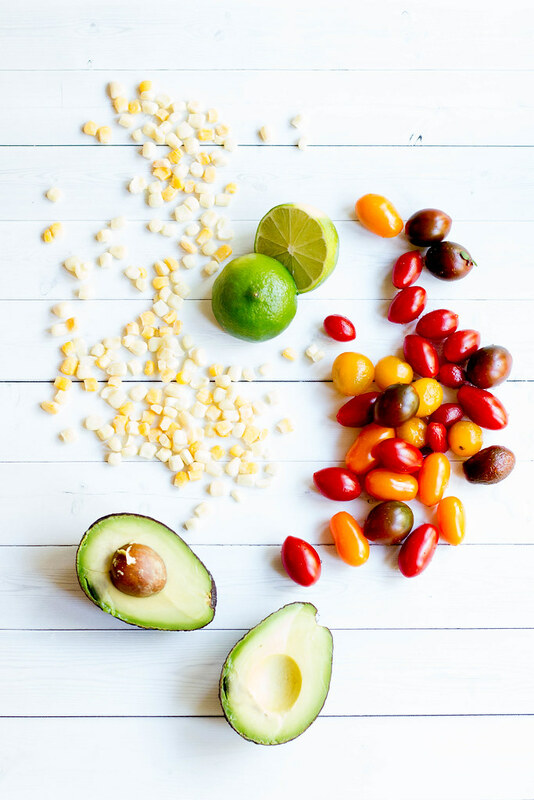 Thanks for the share, what a great healthy recipe to try. Yummy! I'd love to prepare and taste this salad as soon as possible. Can I use regular sized tomatoes instead of cherry tomatoes? You can totally use whole tomatoes! If you check out this article for some information on how to write good essay. I think that this information could be really handy in your next assignment. This salad is very attractive and rich in nutrients. my husband's back poem analysis shows us a very bad and emotional day. This poem is worth reading, it is very interesting, fulfilled with feelings and hope. We love your updates, what a yummy dish has been this for the cricket fans these days. 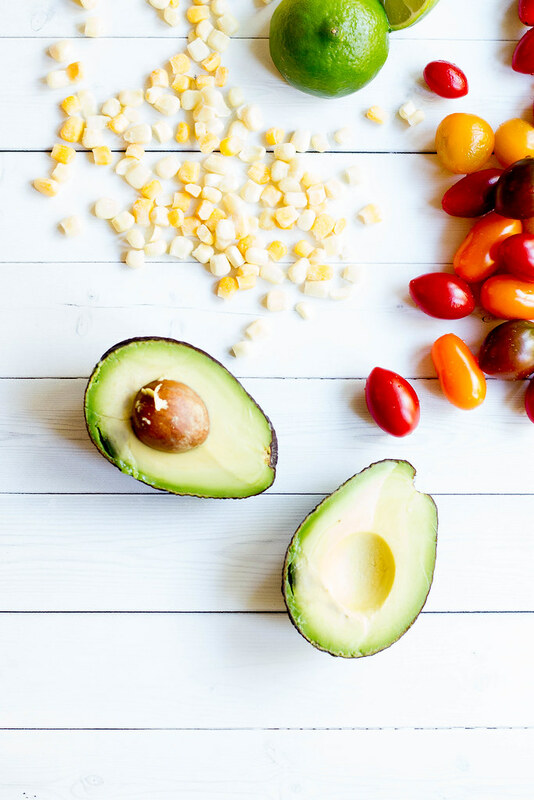 This Breakfast is awesome,avocado black bean salad with cherry tomatoes is awesome and healthy Breakfast,thanks for sharing it. 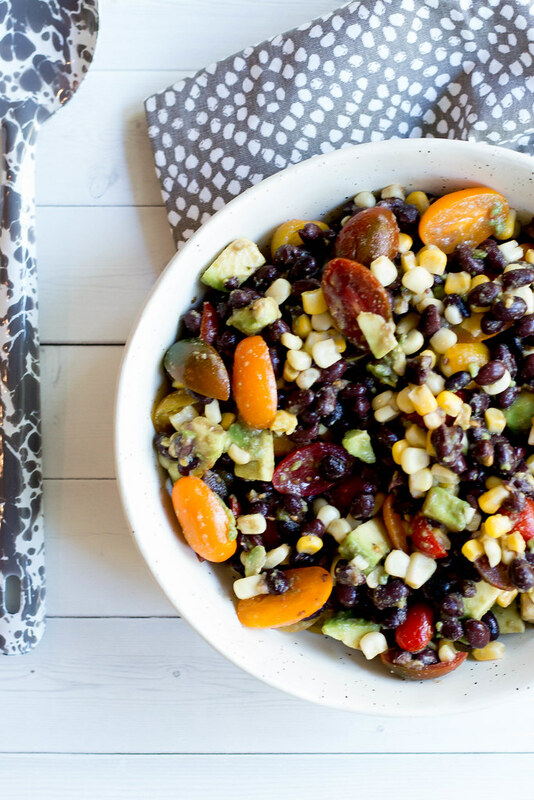 I Always try to Love New Foods like this combo avocado black bean salad + white corn + cherry tomatoes. Great dish to eat. While eating i wrote one great information type of post on sites like audiobookbay which is very useful for the audiobookbay lovers. Check these and enjoy using some more services. Get the information whether your dogs eat broccoli and cauliflower using this article dogsfud.com/can-dogs-eat-broccoli-and-can-dogs-eat-cauliflower/ were all the details of cauliflower for dogs has been explained clearly.